It was in the News from a while that Samsung will be revealing White colored Galaxy Note 9, the images were also leaked of the Snow White colored variant of the Smartphone. The Galaxy Note 9 was actually launched with four color options that are Blue, Metallic Copper, Midnight Black, and Lavender Purple. And now the fifth color option will be the Snow White. The Company is sort influenced with snowy winters approaching next month hence they are launching the white colored variant, the unfortunate thing is that this new color variant will only be sold in Taiwan. It will be available at Samsung stores in the early December at a price of NT$ 30,900 for the 128GB variant. It is nice to see that the bezels at front are now Black and the S pen is White to match the phone. Earlier Samsung used to give white color options with white bezels which looks outdated. As of now Samsung is only bringing this color option to its Note Smartphones. 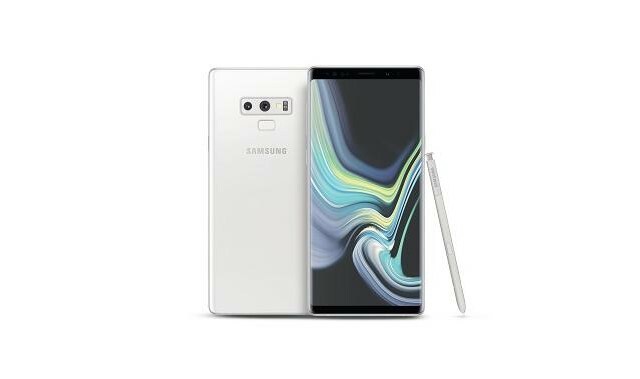 The Company also set an offer for people buying a white Galaxy Note 9 before December 31, they will get a limited edition Fast Wireless charger for free, which normally costs NT$1,190. Comment below your thoughts on the new Color option and Stay tuned with Alloftop of more updates.